Originally published by the National Rehabilitation Counseling Association in the Journal of Applied Rehabilitation Counseling. Morgan, R. L., Salzberg, C. L., Moore, S. C., & McSweyn, C. (1995). 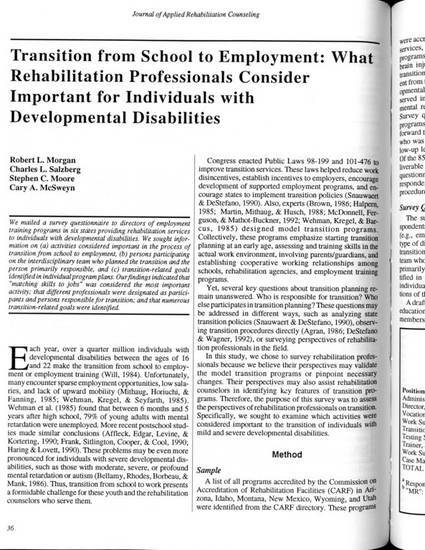 Transition from school to employment: What rehabilitation professionals consider important for individuals with developmental disabilities. Journal of Applied Rehabilitation Counseling, 26 (3), 36 – 41.